Summa Health in Akron is looking for a new partner health system that will provide long-term financial stability, advance service offerings and support continued investment in the community's health. The system's board of directors doesn't have much of an appetite for an outright sale for cash, said Dr. Cliff Deveny, interim president and CEO of Summa, but otherwise, all forms of financial arrangements and partnerships are on the table, from merger to consolidation into a bigger health system. "The board's made attempts before, and so now I think this is one where a full affiliation or a full consolidation into a bigger health system is probably the best model going forward," Deveny said. Summa's board of directors is launching the partnership-exploration process through Kaufman Hall & Associates, effective Oct. 1. The process is expected to take 12 to 18 months. This could signal the end of the health system's relationship with Cincinnati-based Mercy Health, which in 2013 acquired a 30% minority stake of Summa for $250 million. Mercy Health this year merged with Maryland-based Bon Secours, creating one of the largest health systems in the nation. The move left some questioning what it would mean for that relationship with Summa. The relationship for the past five years has been very positive, Deveny said, but given the new direction Mercy Health is headed, "we wanted to find an organization that would be more focused on the success of Summa Health System." Deveny said both Summa and Mercy's leaders support Summa's search for a new partner. 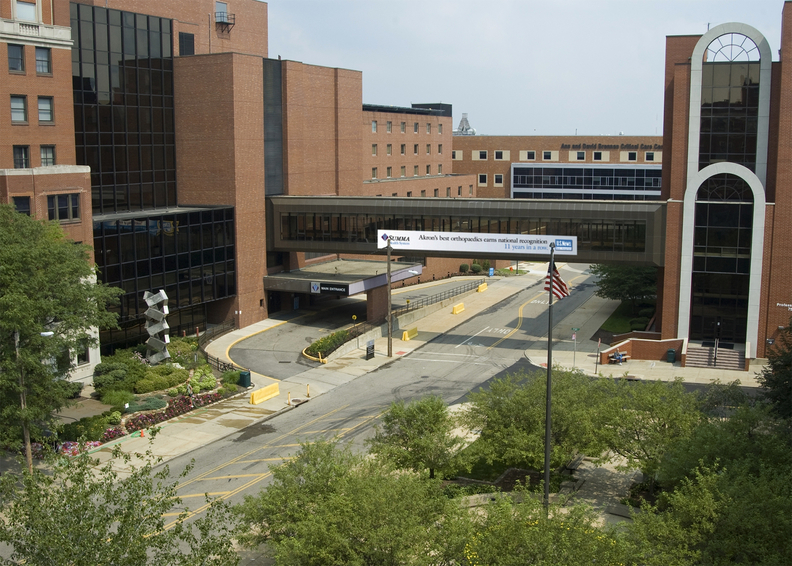 If Summa finds a new partner, the system would end its current relationship with Mercy Health. If it doesn't identify a new partner, the two would see that partnership through for the next five years, he said. "Over the last five years as a minority investor, we have partnered with Summa with the goal of improving the health and well-being of the Akron community," said John M. Starcher, Jr., president and CEO of Bon Secours Mercy Health, in a prepared statement. "We have been actively engaged in and fully support Summa's decision to explore the possibility of partnering with another health system. We will continue our working relationship until a new partner is found." Summa has "extracted the maximum amount of value" out of its relationship with Mercy Health, Deveny said, listing some of the areas that have benefited: performance, electronic health records, supply chain. A new partnership that reaches further than the one with Mercy would offer the opportunity to have strategic capital and to expand clinical capabilities, from recruiting specialists to expanding services that aren't currently available in Akron, Deveny said. From an operational standpoint, it also could assist with the large analytics and IT investment needed in software, hardware and capabilities. "While we deeply value our current partnership with Mercy Health, we recognize that our organizations are moving in different strategic directions," said Anthony Lockhart, chair of the Summa board of directors, in a prepared statement. "At this time, we have a clearer understanding of our own path to growth and success, and it is important to explore if there may be other potential partners that would align more closely with our vision for the future of Summa Health." For the first six months of this year, Mercy Health made nearly $1.3 million on its investment in Summa, compared with a $538,000 loss for the like period last year. For its part, Summa has turned around its finances in the past year. Following a multimillion-dollar operating loss in 2017, Summa achieved a $43 million turnaround in the first half of this year, putting its finances back in the black. The system is hoping to build upon its success and growth of the past year and find a partner who can help Summa leverage its current strengths and enhance its capabilities. "Over the past year, Summa Health has grown and emerged as a stronger, more nimble organization. But with all the progress that has been made to date, we must continue to advance to safeguard our future," Deveny said in a prepared statement. "We are entering this process from a position of strength and financial stability and we are excited about this potential opportunity. We have set ourselves on an upward trajectory that has driven continued success for our organization and enhanced access to compassionate, quality care to those we serve." Navigating industry changes, which put pressure on healthcare providers to expand access while minimizing costs, has become "increasingly challenging," according to the news release. Without a partner to help address market pressures, Summa's progress may be "stymied," the release stated. Deveny recognized that this move has the potential to create anxiety in the community, but he stressed the system is "very much committed to maintaining our full scope of services." He said he is interested in a partnership that keeps the organization "intact." He wants to see Summa's offerings — including its medical group, health plan, acute services, home care, etc. — stick together. "So we feel that at this point, if we can maintain the identity as a hub or an intact health system of a larger health system, in some sense, we may not be in a situation where we're vulnerable to things being taken apart or disassembled," Deveny said. The board expects the process to find a strong partner to be "deliberate, thoughtful and lengthy," according to the release. "The board has been thoughtfully evaluating the best path forward to ensure our future growth and success and has decided to explore the possibility of partnering with another leading health system," Lockhart said. "We are seeking a potential partner who aligns with our commitment and mission to provide compassionate, quality care while further expanding our reach and access to excellent clinical services throughout Northeast Ohio and beyond." "Summa Health seeks new partner" originally appeared in Crain's Cleveland Business.